Experience new gameplay never has seen before! 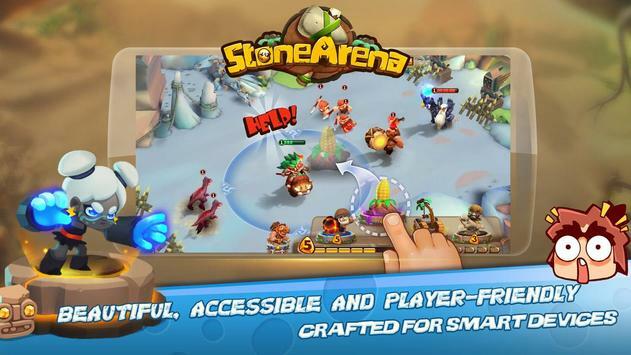 Stone Arena Is a Real-Time Strategy Game (RTS) that combines elements from MOBAs and tower defense games to create a new experience. Take control of a Hero and deploy a variety of different Troops and Units for you to command in battle. 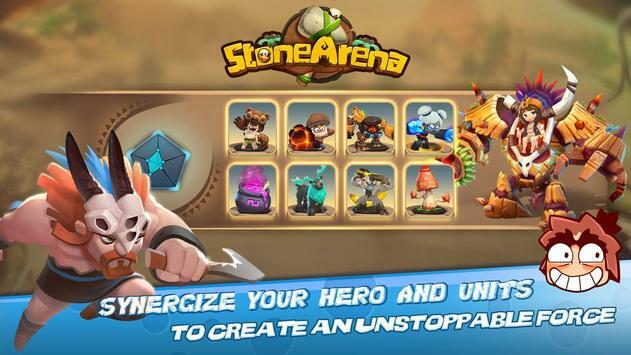 With a selection of different Heroes, you must choose the correct units for each hero to maximize your strength! Control your hero and defend against the enemy units and Heroes, or lead the charge and move forward to the enemy base with your deployed Units. Don’t worry, you aren’t alone in the fight! Your 2 teammates and 3 enemies can make each match unpredictable and constantly change due to your units, your ally’s units and how you take control! Craft team compositions and strategies! Will you fight head on? Or Assault the enemy players? Or will you rush to destroy their towers?! 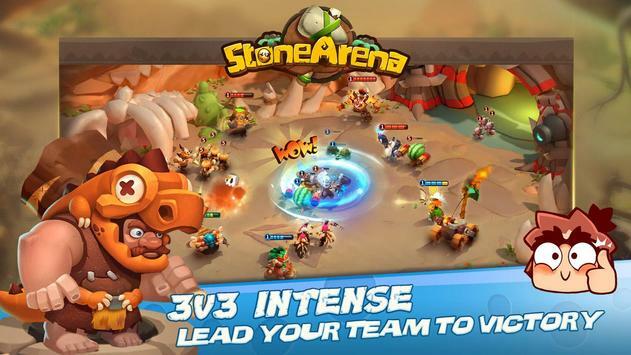 Join in the game and forge your own path to victory!